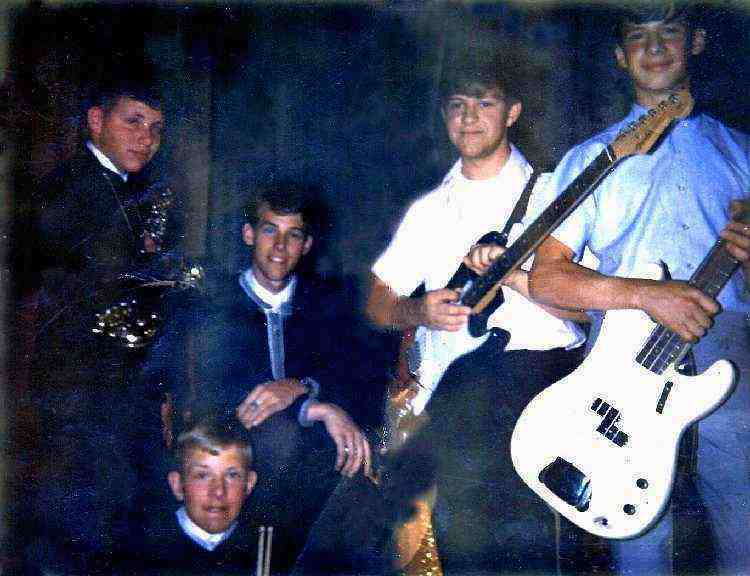 It started out in the school band room at Madrona Junior High in November of 1963. There was a few of us after school one day just messing around with our instruments playing Louie Louie and a few other easy tunes, when I looked up across the hallway between the band room and the chorus room. The doors were locked closed and there were two faces pressed tightly up against the window on the door of the chorus room. These two guys started signaling to let them in, so I went over to the door and let them in. I was to discover that these guys were Ron Foos and Gary Humphreys. Not only was it the beginning of a life long friendship, but these guys eventually became really famous and successful as musicians and vocalists, along with record producing, movies and commercials. Ron Foos who has been with Paul Revere and the Raiders for 25 years or more, also played in numerous bands around the NW and the country. Starting with the Yorks, Pied Pipers, Brave New World , City Zu, Brady Hiatt & The Sonics, Epicenter, & Bachman Turner Overdrive (BTO), to name just a few! Gary played with the Yorks, Pied Pipers, & A Boy & His Dog with Ann Wilson, which hooked up with White Heart (which became HEART). Anyway when I started the Pied Pipers I brought them with me and the rest is history!! The York was the basis of what became the Pied Pipers in late 1965.